Rustic but elegant handcrafted solid sterling silver and gemstone necklace. 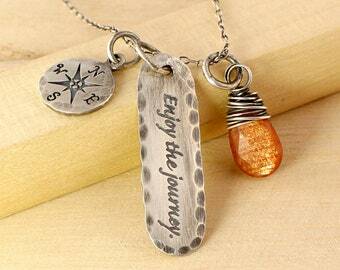 Including inspirational reminder to "Enjoy the Journey" and a small compass rose to lead the way! 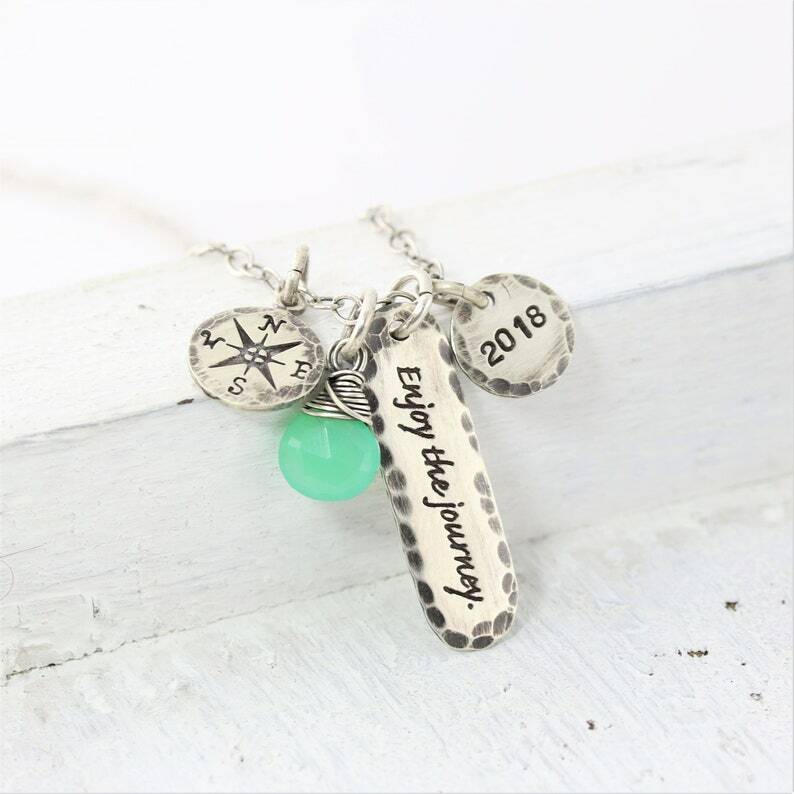 Adding the year disc and gemstone personalizes it for your graduating loved one. This will make the perfect gift! Also available in shiny silver!